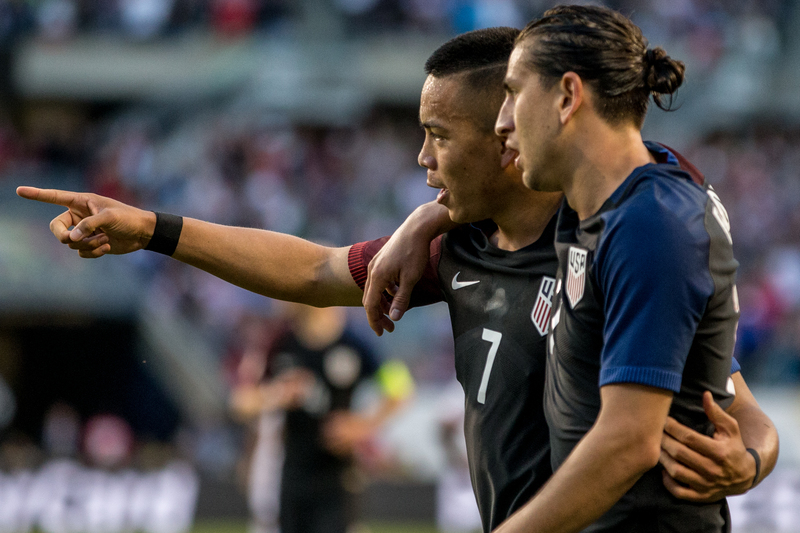 USA falls to Colombia 1-0 and finishes fourth place in Copa America tournament. Clint Dempsey and Wood were again our most dangerous players. The 4-4-2 has been revived for US Soccer due to the Wood-Dempsey partnership. These two play well together, Wood makes deep runs and Dempsey benefits from the space underneath. It is clear that Wood has now displaced the oft-injured Jozy Altidore as our number one forward. Dempsey had a strong tournament, was dangerous throughout on the ball, and still has a knack for finding the back of the net. The Bradley-Jones partnership was lacking going forward tonight. 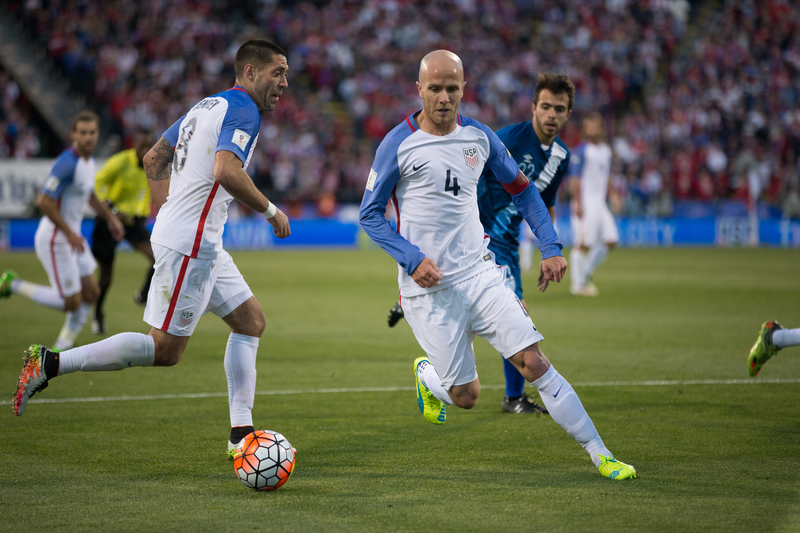 Michael Bradley and Jermaine Jones are both solid, competitive footballers. On a night where we needed more going forward, neither player imposed their will on the match and our final ball was often lacking. Most of the USA attack was wide and it not a surprise when considering the strengths and weaknesses of these two players. Darlington Nagbe should have been given the start with Bradley in my opinion, but was brought on as a late substitute again. Tim Howard returned in between the pipes for USA. Howard looked well tonight, focused, commanding his back line, and strong on a few saves. The goalkeeper position has been an embarrassment of riches for the USMNT for decades now. Howard, who recently ended a ten-year run at Everton of the BPL, will be returning to MLS for the Colorado Rapids later this summer. One wonders if this was his last match for the red, white, and blue? 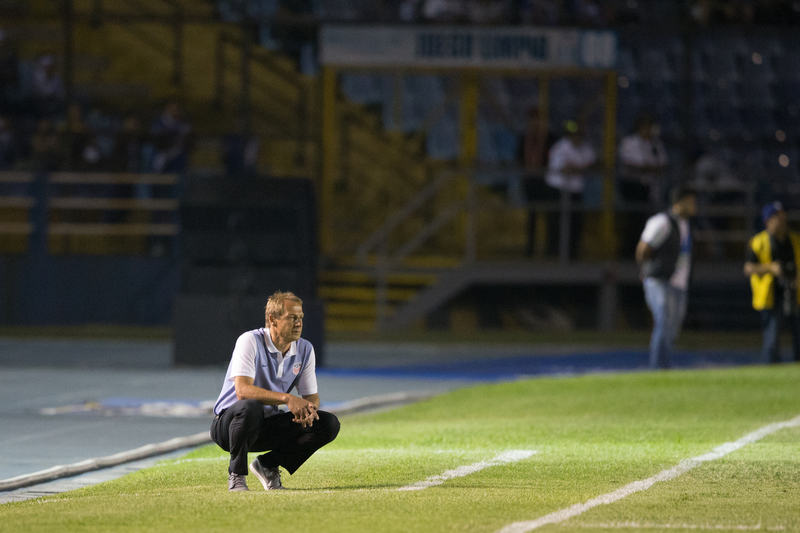 Coach Klinsmann waits too long to insert Christian Pulisic and Nagbe into the match. Klinsmann should have inserted both players around the 60 minute mark with USA down a goal. Pulisic entered the match in the 74’ and Nagbe in the 79’ respectively. It is hard to understand what Klinsmann was waiting for with USA being down a goal? Neither sub was able to make an impact on the match. Too little, too late coach. Robert W. Cross is a founding member and former President of American Outlaws Portland, a lifelong football fan, and supporter of both club and country.